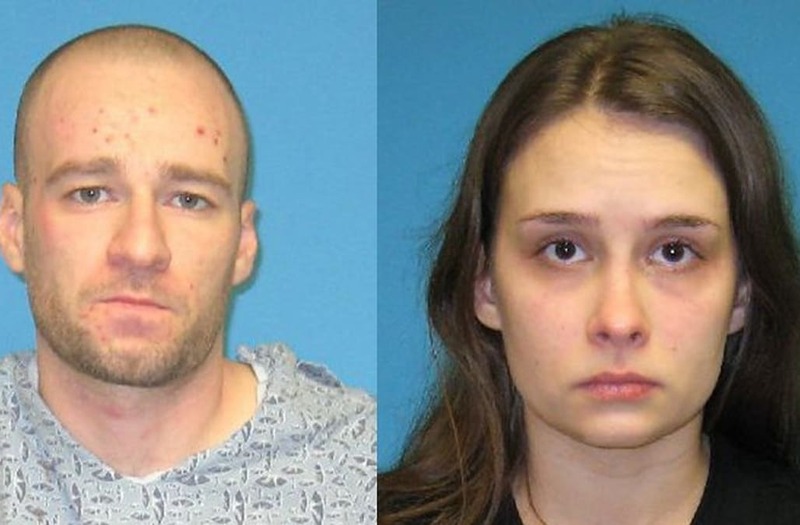 LORAIN, Ohio (WJW) -– A mother and father were arrested after Lorain police say they both overdosed in the presence of their children. An officer found Nathan A. Carroll, 29, in a mini van in the area of West 24th Street and Leavitt Road Monday evening. According to the police report, the van had just missed hitting a tree and an infant was in the backseat. Carroll was blue in the face and had shallow breathing. When paramedics arrived, they administered Naloxone, a heroin antidote, several times. Police responded to Carroll's house on Westview Court, where a young girl answered the door. The officer eventually spoke with Samantha R. Schigel, 24, who said she snorted a powder with Carroll then he left with the baby to get some food. During her conversation with police, Schigel became unresponsive on several occasions, the police report said. Paramedics also gave her Naloxone. The couple was taken to Mercy Regional Medical Center, then to the Lorain City Jail for booking. Carroll was arrested for operating a vehicle under the influence, endangering children, driving under suspension and failure to control. Schigel was arrested for endangering children. Police contacted Lorain County Childrens Services. Grandparents took custody of the couple's five children. The suspects told police they believed they used heroin. But, according to the Lorain Police Department, the substance tested positive for cocaine and fentanyl. Carroll and Schigel will likely face drug-related charges.